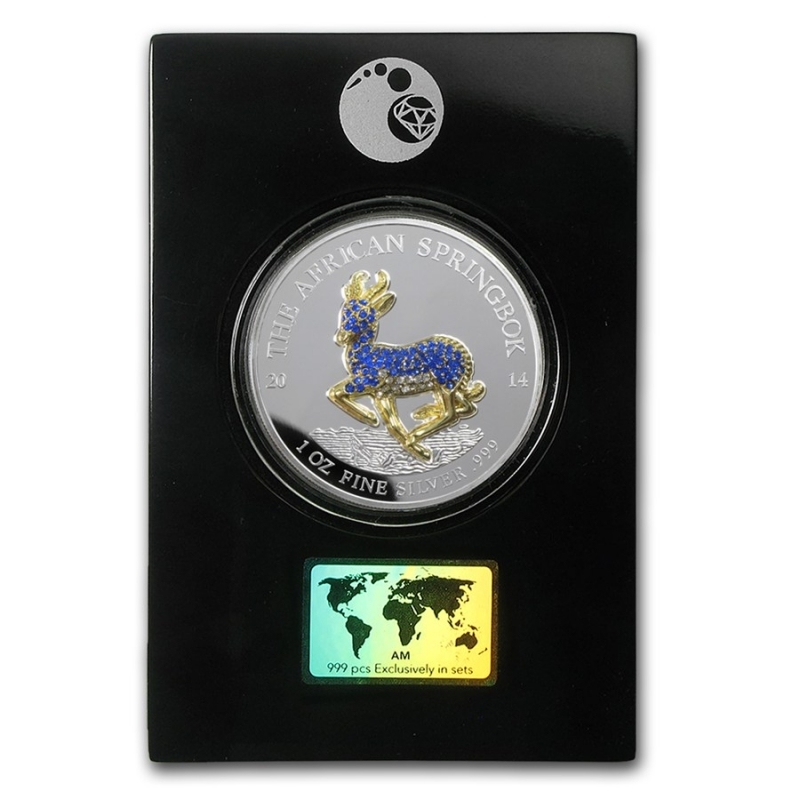 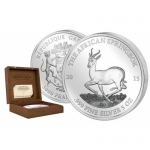 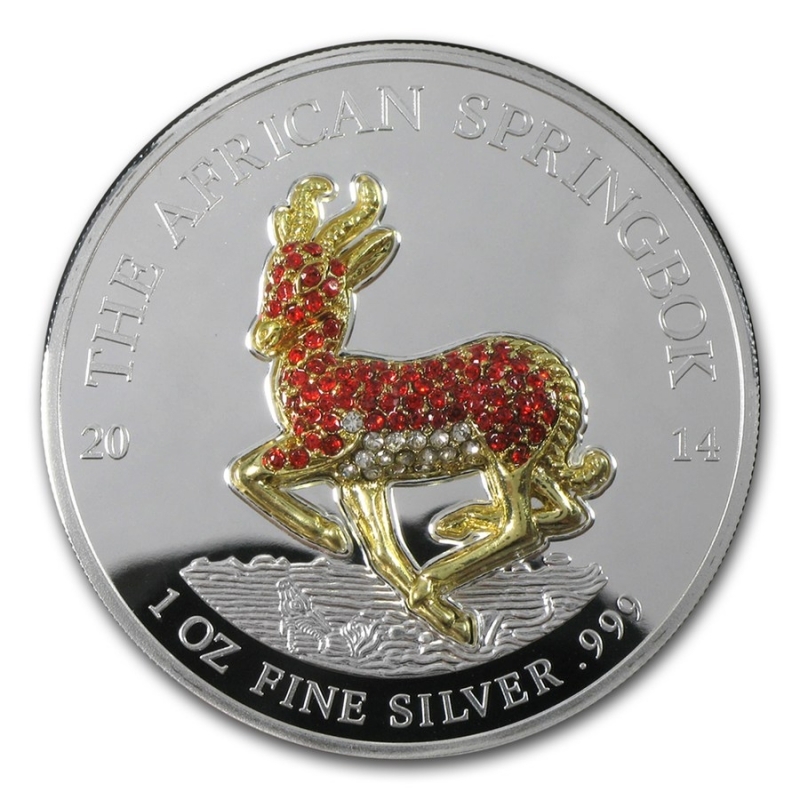 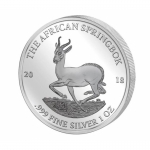 For 47 years, the Springbock has been a trademark of the Krugerrand, the first and most successful investment coin in the world, coin history. 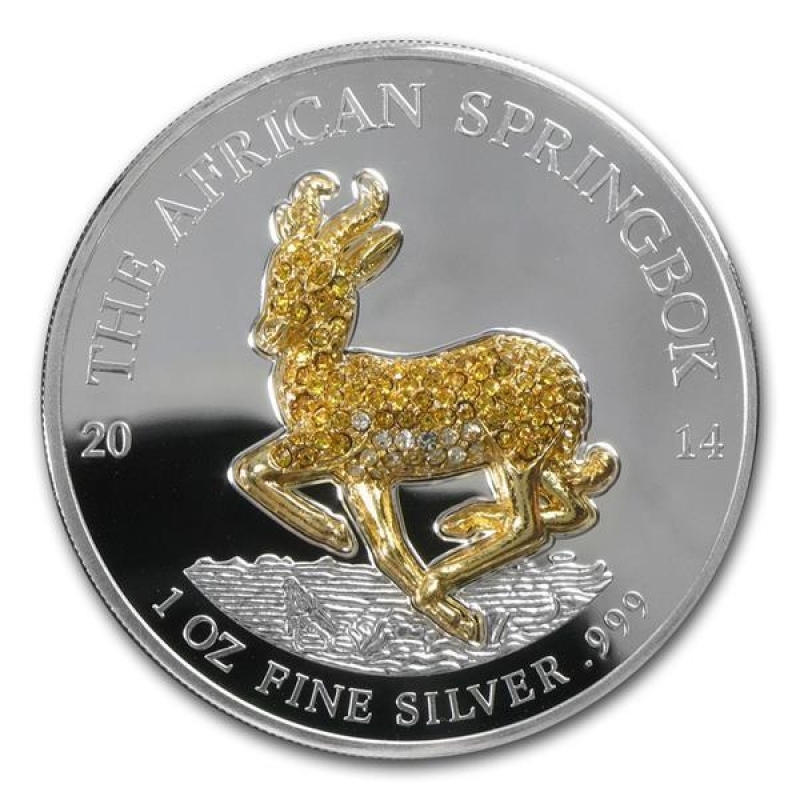 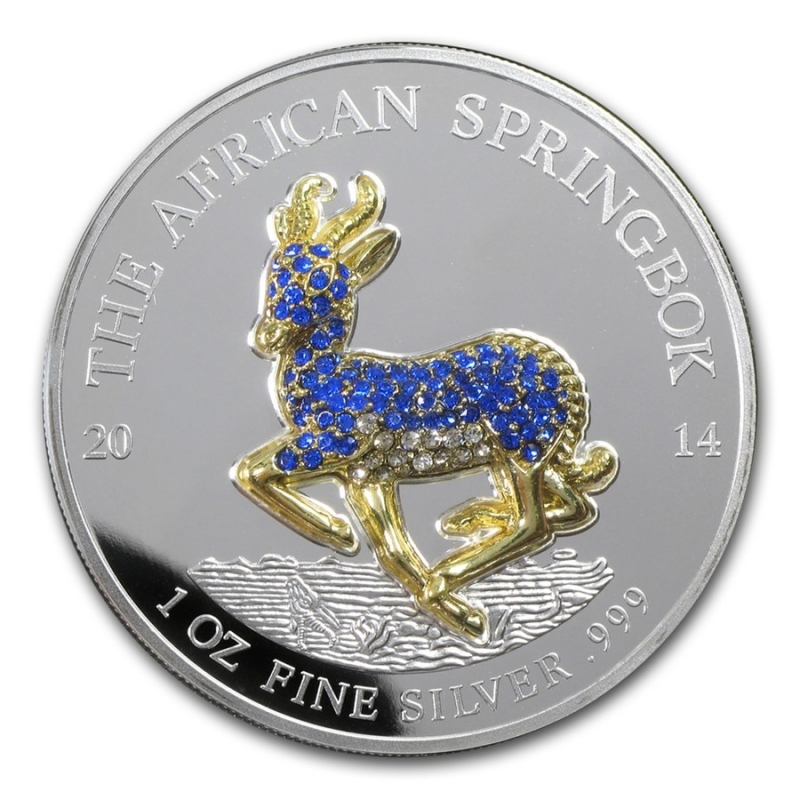 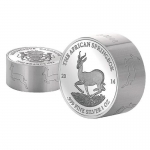 And this is now complemented with the Pavé collection "African Springbuck" by a completely new capital! 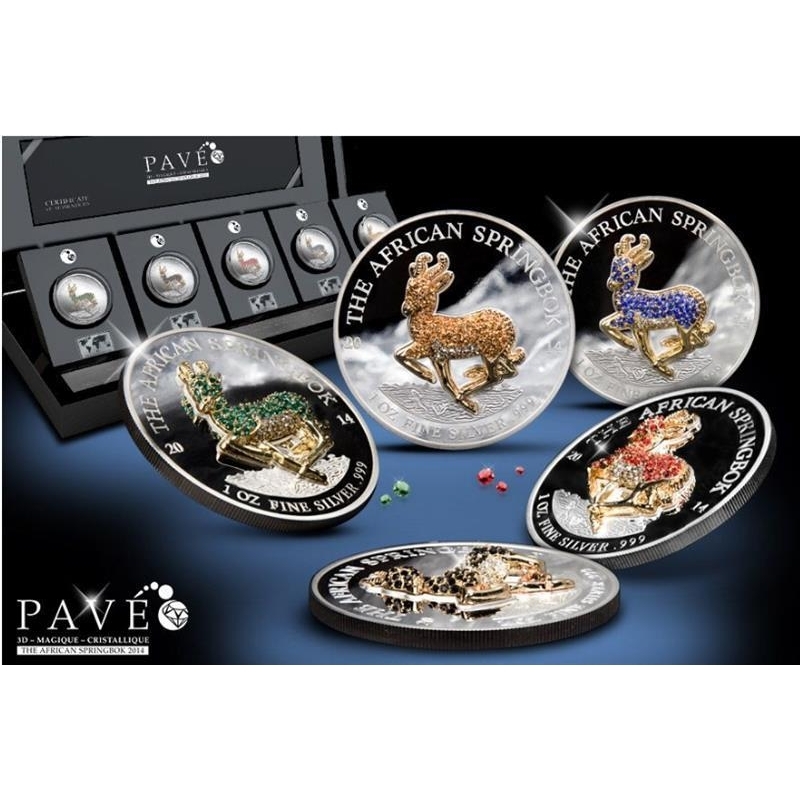 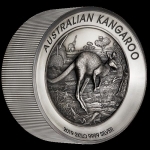 5 silver coins in the highest imprint quality "polished plate" and the classic investment weight of 1 ounce of silver form the basis for 5 fantastic masterpieces: over 100 crystals were used by hand in every single coin. 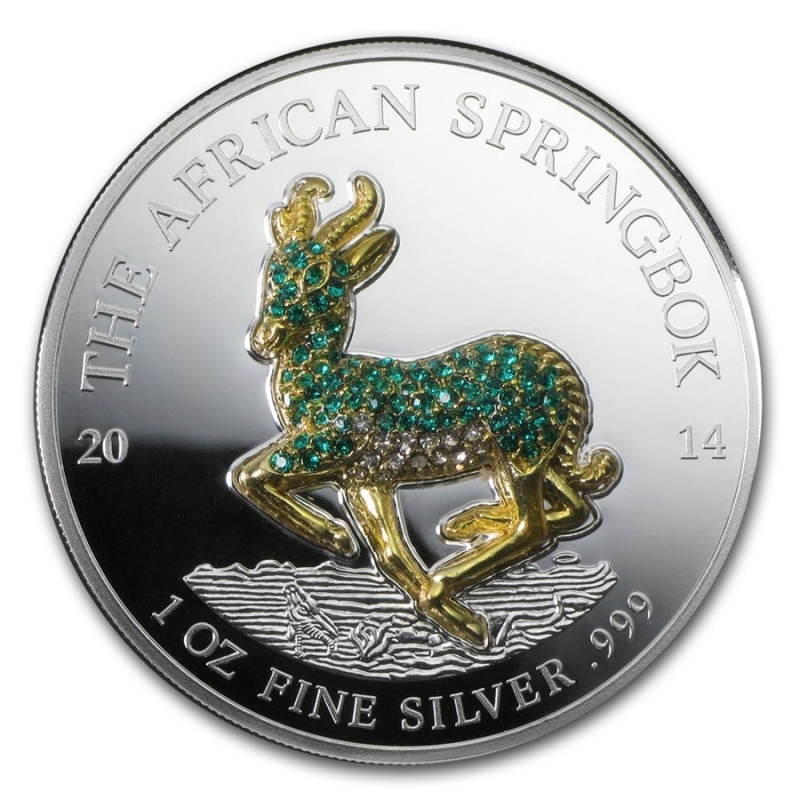 In addition, each springbok motif is refined with 24-carat Feingold and designed as an impressive high-relief. 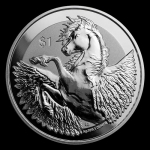 The perfect combination of coinage and juliergunst! 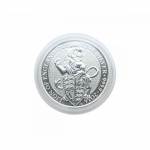 Due to the enormous production effort the collection is limited to only 999 pieces worldwide. 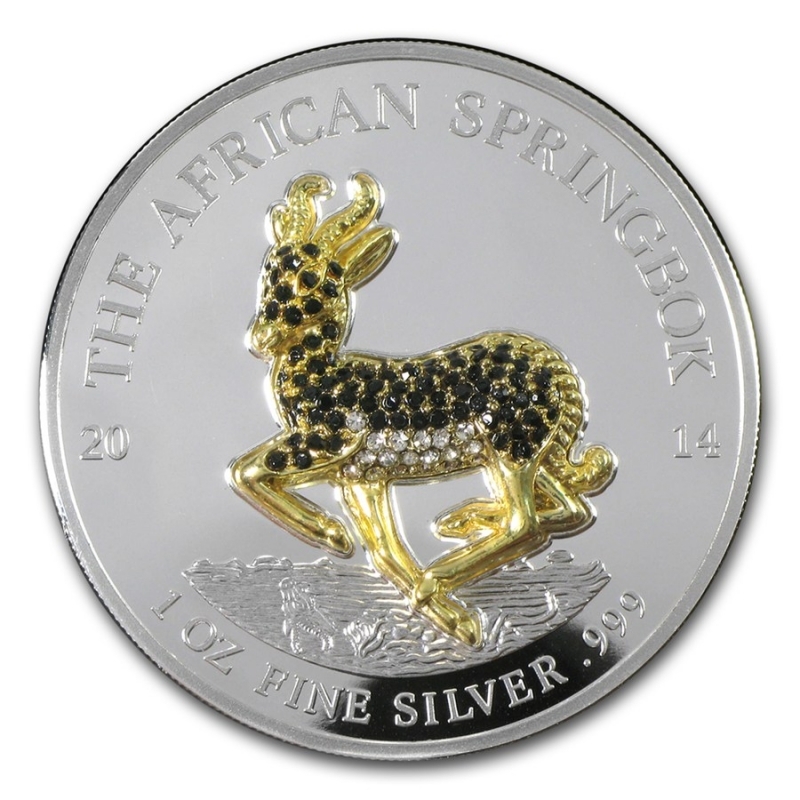 In the black collection cassette you can present your collection perfectly ! 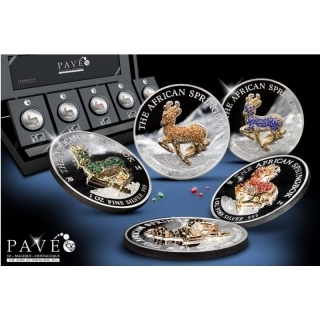 Whether one, several, or all five: You can set up each individual coin individually. 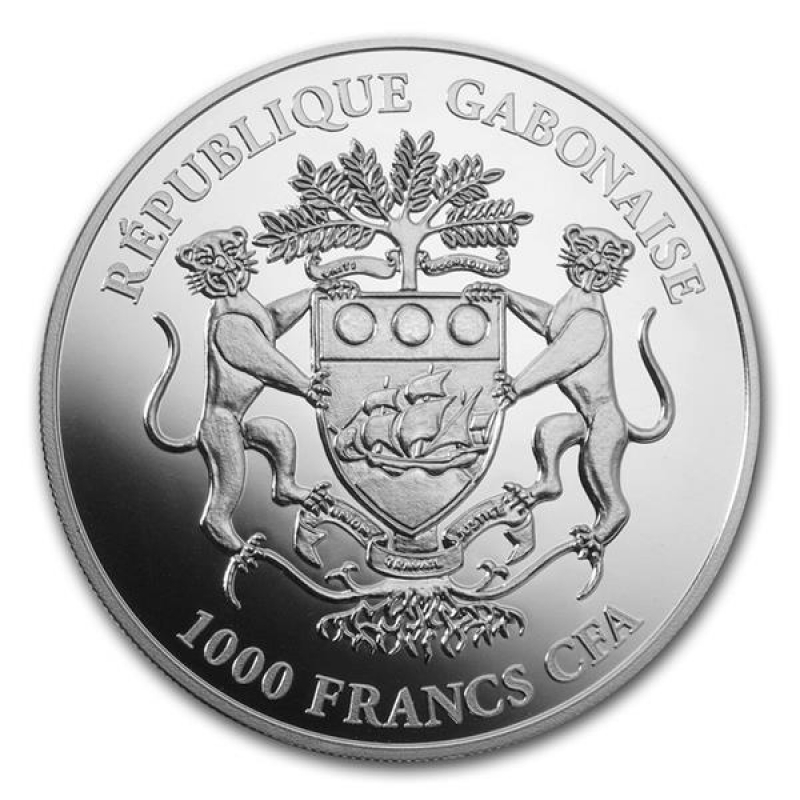 A certificate guarantees the authenticity and quality of your coins as well as the strict limitation of your collection to only 999 copies.